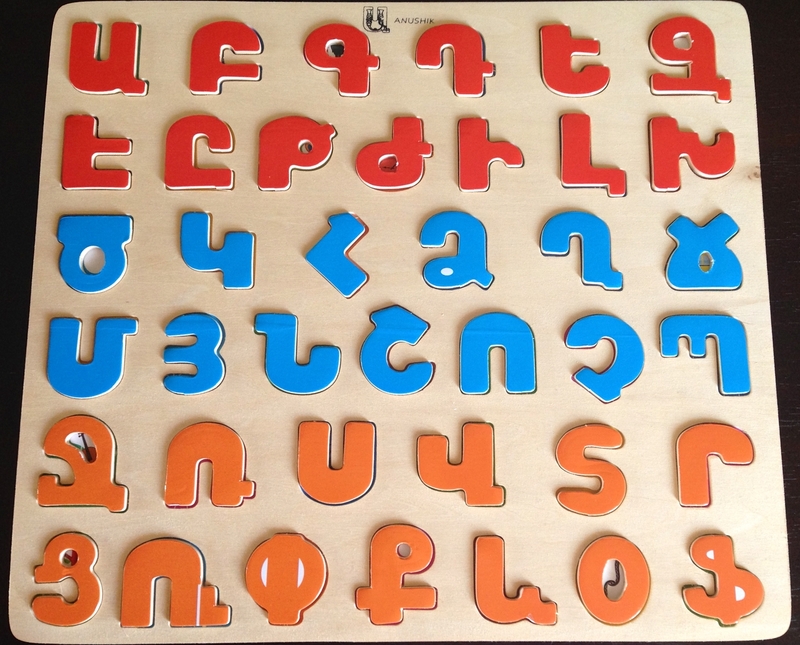 This Armenian Alphabet puzzle is designed to help children learn Armenian letters through play. 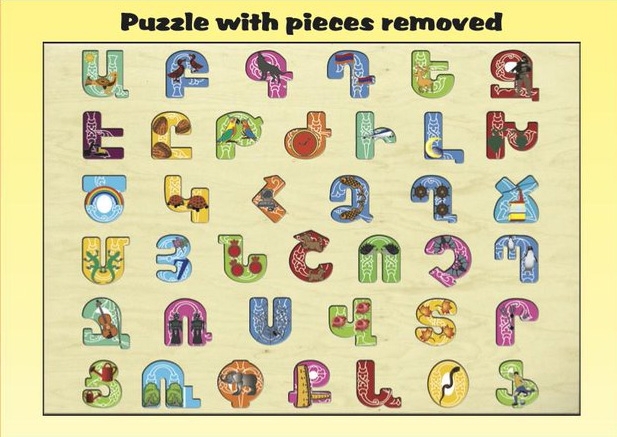 Playing with this puzzle will help your child with pre-reading skills such as Letter Recognition and Word Association, while also assiting in the development of hand-ey coordination and other fine motor skills. 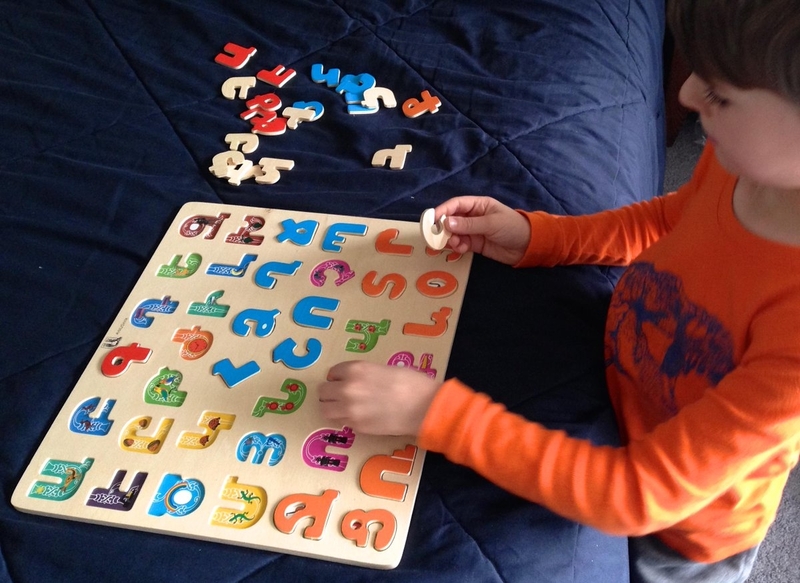 Under each letter your child will find a beautifully designed Picture backed with Manuscript lettering. Each letter of the Armenian Alphabet has been matched with a picture of a word beginning with that letter: from "Ա is for artsiv (eagle)" to "Ֆ is for footbolist (football plyaer)." 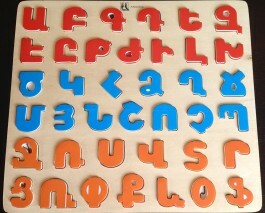 The 39 Wooden Letters come in Red, Blue, and Orange, and are arranged to form the Tri-Color patter of the Armenian flag. Includes chart on back with letters in English transliteration.